Epson 13in. (L) x 13in. (W) x 15in. (H) 7 lbs. This Kit Is For Clearing Potential Clogs From Your Epson Inkjet Printer. 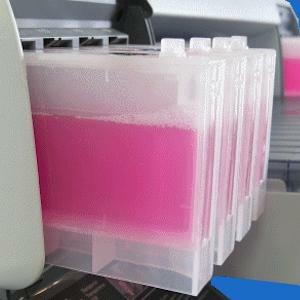 For Epson Printers, Install Cleaning Cartridges And Run Prints Until Clear. For A More Complete Treatment, Let The Printer Rest For 3 Or 4 Days With The Cartridges Installed. Note: We Do Not Support Mixing OEM, Remanufactured, Empty, Or Compatible Cartridges, As Chip Issues May Result From Not Matching Sets. See Our Terms And Conditions For More Information. Please Ensure That The Kit You Are Buying Has The Correct Black (Matte Or Photo) To Match The Cartridge That Is Currently Installed In Thyour Printer.